Get 1% Cashback in HB Wallet . Maximum Cashback Rs 100. Coupon Code 'GETMAX100' required. HBCASH facilitates payments and services in connection with online transactions for products or services concluded on and through the HBCASH App and website, or any third party merchant app, website, physical store or any individual both within and outside the HBCASH network. By using the services, you acknowledge and agree that HBCASH is not a bank and the Services should in no way be construed as the provision of banking services. HBCASH offers its services in compliance with local laws and regulations. HBCASH can be loaded or topped-up by transfer of money from another HBCASH user, or from refunds/cash backs that might arise due to cancellations and returns of your transactions at third party partner Merchant Platforms or by HOMEBETHE. HBCASH will be displayed as an option on the order return/cancellation screen for all such refunds on the Merchant Platforms. HBCASH has the sole discretion to not allow Refunds into the HBCASH for purchases made through any particular payment method. HBCASH can be used to purchase products on online platform. 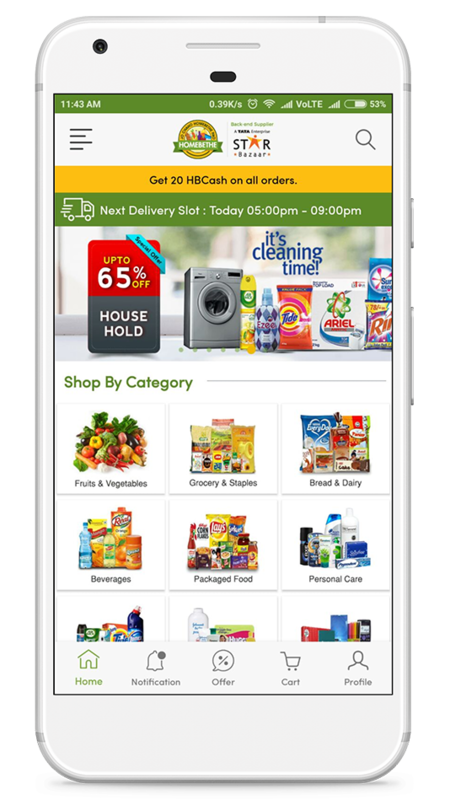 Minimum Rs 999/- shopping require to use HBCash. The order value exceeds the available amount in the HBCASH. The User has exceeded his/her limit for Purchases using the HBCash, as per the RBI rules. HOMEBETHE further reserves the right to suspend Your HBCASH if You are involved in any suspicious transaction and/or any transaction in gross violation of the rules and regulations issued by the Reserve Bank of India ("RBI") governing the use of Pre Paid Payment Instruments including but not limited to rules and regulations under Prevention of Money Laundering Act, 2002 and any amendments thereto. In such an event, HOMEBETHE shall report the matter to RBI and shall also freeze your HBCASH account until the receipt of findings and clear report from RBI in this regard.